It turns out that hours of recorded conversations between Michael Cohen and Stephanie Winston Wolkoff—a former strategist, adviser, and “enforcer” to Melania Trump—were among the items seized last year during the FBI’s raid of Cohen’s home, hotel, and office. In fact, the Southern District of New York’s current criminal investigation into the inauguration stemmed, at least in part, from these recordings, according to a report from Vanity Fair. Later that evening, in a phone call, Wolkoff told the First Lady that she worried it appeared as if she had been fired on account of her work on the inauguration. 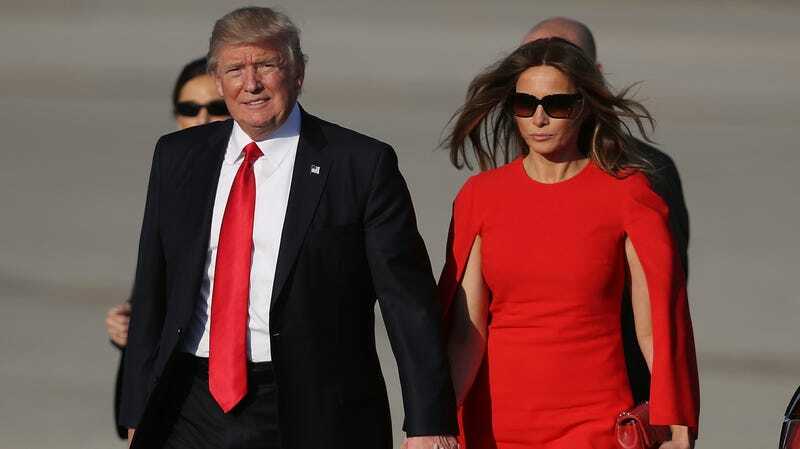 The First Lady urged her not to be “dramatic.” Less than a week later, however, the Times published a story stating that the severance of Wolkoff’s contract had been “prompted by displeasure from the Trumps” over the $26 million payment. Read the Vanity Fair piece in its entirety here. Is Melania Wearing Leather Pants, or Are Those Her Barbie Legs?